The 12th Annual Conquer Chiari Walk Across America will be held on September 21st & 28th 2019. In 2018, the event was held at 72 locations, involved more than 7,000 participants, and raised over $370,000 for research and other patient centered programs. 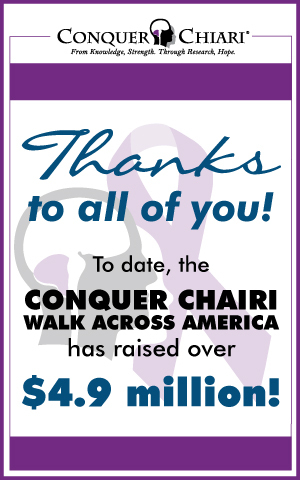 Since its inception in September 2008, the Conquer Chiari Walk Across America has been held in 214 cities in 47 states with over 85,000 participating walkers, and has raised over 4.9 million dollars. These impressive numbers could not have been possible without the many dedicated Organizers & Volunteers who put so much time and dedication into each walk, sponsors from across the nation offering donated funds and services, and most importantly the participants. The Conquer Chiari Walk Across America is a series of local awareness and fundraising walks held across the country on the 3rd and 4th weekend of September (Chiari Malformation Awareness Month) every year. Walk planning begins in January. Check out the links in the left side bar to find out the History of the Walk 2008-18, Highlights from CCWAA'18, Walk Day Videos, and our Wall of Fame for teams that raised $1,000 or more. 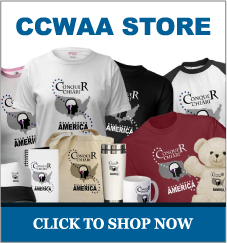 CCWAA has been held in all but 3 states since 2008. Hawaii, Rhode Island and Vermont. It is our goal to reach ALL 50 states! View CCWAA '18 Walk Day Photos on Pinterest.